Collective Intelligence Systems (CIS), such as wikis, social networks, and content-sharing platforms, are an integral part of today’s collective knowledge creation and sharing processes. CIS are complex adaptive systems, which realize environment-mediated coordination, in particular with stigmergic mechanisms. The behavior of CIS is emergent, as high-level, system-wide behavior is influenced by low-level rules. These rules are encapsulated by the CIS infrastructure that comprises in its center an actor-created artifact network that stores the shared content. In this chapter, we provide an introduction to the CIS domain, CIS architectural principles and processes. 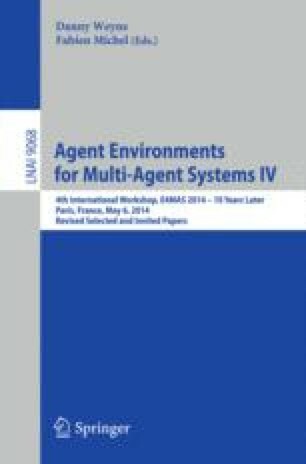 Further, we reflect on the role of CIS as multi-agent system (MAS) environments and conclude with an outlook on research challenges for CIS architectures. This work was supported by the Christian Doppler Forschungsgesellschaft, the Federal Ministry of Economy and Science, and the National Foundation for Research, Technology and Development, Austria.